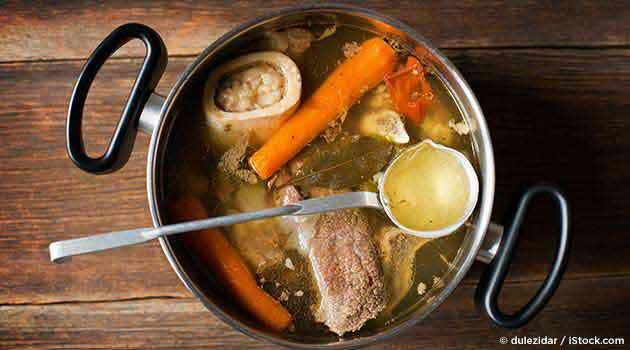 Bone Broth: Benefits And Recipe. I love the healing and energizing benefits of bone broth and everyone can make it at home. This delicious ancient Traditional Chinese Medicine recipe was probably embraced by your grand-mother. It's easier than you think to make and this highly nourishing soup is much cheaper than any supplements you can buy. I often prescribe this to many of my patients. ﻿Back Pain? Try Foundation Training. For over 6 years now I swear by the Foundation Training exercises to keep me fit and strong to play hard and work long days. I've seen so many friends, athletes and patients completely get rid of their back pain by integrating these little workouts into their routine in combination with acupuncture and/or trigger point injection treatments. I constantly recommend these to my patients who suffer from acute to chronic back pain or poor posture. You don't need to take my word for it. Listen to Dr. Eric Goodman's Tedx Talk and try their free little videos. Better Posture in 4 minutes: If you have back pain right now,﻿ here's a good video to start ﻿and learn the basic postures such as Founders Pose. Lower Back Workout: If you're very fit, you can start now with this 12 min video. If you can't finish it first try, don't worry, it means you are doing it right. Enjoy a life without any back pain. These Qi (energy) moving exercise are part of the pillars of Traditional Chinese Medicine. Building your inner Qi is the fundamentals of health. Here are some of my favorite videos from Gaiam, combining both T'ai Chi & Qi Gong as a great introduction so you can start moving and doing right away. Enjoy being grounded, relaxed and while increasing your flexibility to regain your inner strength. The first video describes the benefits of T'ai Chi & Qi Gong while starting to learn the movements. The 2nd and 3rd are to learn the sequence of movement. When you are ready, the 4th one is the full sequence of movement. It's a beautiful basic flow for everyone to learn.